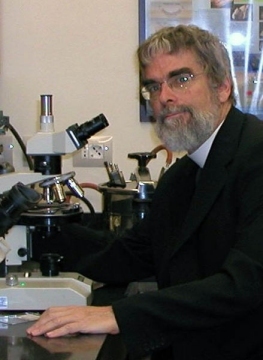 Brother Guy J. Consolmagno received a Ph.D. in planetary science from the University of Arizona. He started doing research at MIT, but then wondered why he was doing astronomy when people around the world were starving. As a result, he joined the U.S. Peace Corps and started doing relief work in Africa. However, he says that when people in Africa found out that he was an astronomer, they kept asking him questions about the heavens. He said that even though they didn’t have running water, they wanted to look through a telescope. As a result, he went back to astronomy, serving as an assistant professor of physics at Lafayette College. After four years of that, he joined the Jesuit order, and in four more years, he was posted at the Vatican Observatory. On September 18th of this year, he became the director of the Vatican Observatory. Just the opposite. He is the reason we do astronomy. I would say that is true even if you don’t believe in God. We do it first of all because we can, because the universe acts according to laws. That is a religious idea…You also have to believe that the universe is real and not an illusion. You have to believe that the universe is so good that it is worth spending your life studying it, even if you don’t become rich or famous. If you think you already know everything about the world, you are not a good scientist, and if you think you know all there is to know about God, then your religious faith is at fault. AMEN. God doesn’t get in the way of astronomy. God is not in the way but indeed is seen in biology WHICH is a more complicated and complex thing than the outer space stuff. So out there also shows Gods hand because it still is well ordered if not as complex. The bible says man was made to live eternally here. Only the fall brought death. So that means we would breed endlessly for endless years and so we outgrow earth. Outer space is the original eternality for man. Looking at its vastness one is looking at eternity. Its undeveloped real estate. It was meant to be filled by people. By this time we should be talking to each other from different galaxies and not merely different sides of the planet. Did We Really Save the Ozone Layer? What’s Killing Corals? It Could Be Your Sunscreen.